When it comes to the car insurance San Diego drivers have, unfortunately, most are under-insured and paying too much. As your premier local San Diego car insurance agent, Prosper Insurance is dedicated to securing the best car insurance at a reasonable cost. Driving has become a necessary part of our lives, and is something many of us truly cannot live without. Whether you’re driving to Balboa Park, Del Mar Fairgrounds, Pacific Beach, or just going to work—every time you get behind the wheel you place yourself at risk. At Prosper Insurance, we are proud of the superior customer support and car insurance San Diego residents appreciate. Obiously, there is no “one size fits all” policy, so we take a different approach. We search competitive San Diego car insurance quotes from 15+ companies. That gives you a stress-free and simple way to find the best policy specifically for you! We love to that go above and beyond. It’s important to remember that car insurance San Diego can protect you from loss in the event of an unfortunate accident, making the policy all the more critical. At Prosper Insurance, we strive to give you as many options as possible. Our comprehensive insurance strategies provide you with the opportunity to custom build a policy that meets all of your car insurance needs. 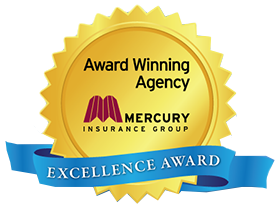 Whether you have a perfect driving record, or have tickets, accidents, or even a DUI, we have the expertise and companies to find you the right coverage at the best rate. We recognize that all of these coverage options can be a bit overwhelming. That’s why we’re here to help you understand your choices and strive to become a trusted advisor. You want to make sure that you’re fully covered for a range of vehicle risks, while at the same time trying to keep premium expenses as low as possible. Prosper Insurance is dedicated to helping you find the most appropriate car insurance San Diego coverage. Let us listen to your needs, and customize a policy that best suits your unique situation. We make you, and your family’s protection, our number one priority. Thank you for allowing us the opportunity to earn your business! Contact Prosper Insurance to learn more about our various coverage options receive a complete coverage review—as well as your free CA auto insurance quotes today!